Everyone around sports in North America is talking about Michael Sam. You would think it may lessen the story’s magnitude by dropping the disclosure of his sexual orientation during the Olympics, but it has still made waves, nonetheless. The NFL is the North America’s number one sport (of the four major sports… by such a margin that saying “large” would hardly do it justice) and stories of importance in the cradle of America’s sporting jewel just don’t fly by with no one noticing. Michael Sam is a beast of a player. He was voted with All-American honors in his senior year at Missouri at defensive end, recording 11.5 quarterback sacks and 19 tackles for a loss, leading the SEC in both categories. Even with his small stature for his defensive end position (6’2″, 255 lbs), such collegiate achievements surely rank him high on NFL draft boards. Many draft analysts had Sam going in the third round of the upcoming NFL draft. This is burying the lede, however (or lead, if you prefer). The importance of this is that Sam would become the first openly gay player in the NFL, and the first openly gay player in these four major North American sports. All the media outlets are jumping for joy and saying “It’s about time!” but I’m a bit more skeptical… not that he’s actually gay (I’ll take his word for it), or that it’s about time for an athlete of a major sport to come out (no opinion), but I’m not so sure that the NFL will be so arms-wide-open for a player to be openly gay. Because I am skeptical may make you raise your eyebrows and label me as a “hater”, but hear me out (I am not a hater. I could care less about which side of the plate you swing from, even if you’re a switch-hitter. Whatever… to each their own). I am skeptical because of a few like sports-related items that are recent off the top of my head. 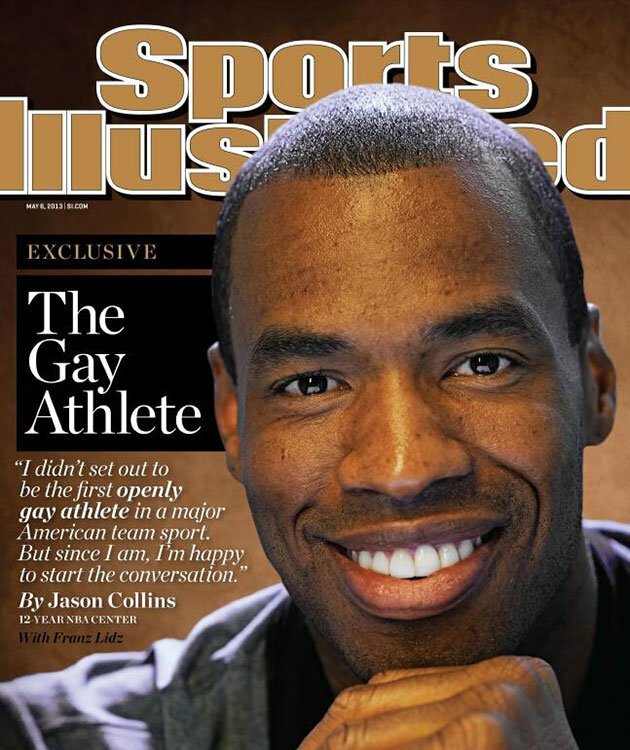 Item #1- When Jason Collins came out of the closet as an NBA player at the twilight of his career, he was a free agent. Virtually all NBA analysts figured he had more to give and he would be picked up and signed by a team before the start of the season. He had five months before training camps opened to get himself ready. Collins was a serviceable NBA player, averaging 4 points and 4 boards in just 20 minutes of play during his 11-year career. You can’t tell me that no one with a hole at center could use his contributions. Or use Collins as a leader for a younger team with a younger center for him to show the ropes to, such as DeMarcus Cousins of the Sacramento Kings, who, despite putting up All-Star numbers, occasionally has found himself in dust-ups with the league (leading the league with 16 technical fouls in 2012-13). The Kings actually suspended Cousins for “unprofessional behavior and conduct detrimental to the team.” I like Cousins and think he got snubbed for the All-Star Game this year, but it sounds like a player who could use veteran leadership from a player such as Collins. Collins would be a surefire cash-grab as attention on him would be immense… meaning attention on your team would be immense. There’s no way you can tell me that cash-poor teams couldn’t use the extra flow. Milwaukee Bucks, aren’t you averaging just 70% of home tickets sold? Philly is even farther down (http://espn.go.com/nba/attendance) under 70%. You may be tanking to get a high draft pick, but in the interim, you could probably use the extra cash generated. And yet, still, even with my three benefits listed (again, off the top of my head), 44 games into the season, Collins still finds himself as a free agent. Puzzling? Maybe not so. Maybe teams don’t think it’d be worth it to have the “baggage” of having someone gay on their team. Maybe just because it wouldn’t work– and the alpha-male role of the professional male athlete would takeover and teammates would be uncomfortable with it. Many sports analysts (another one off the top of my head is Michael Wilbon of the popular ESPN program, Pardon the Interruption), said he figured the NBA to have an athlete come out first, where the bravado is a notch down from the NFL. And still, Collins is unsigned. So how will Sam do in the NFL, a more alpha-male league? I’m not sure I like his chances. Item #2- If you want to use an NFL reference point, Jonathan Martin seems to be a valid place. Martin is not openly gay– though Richie Incognito’s texts seemed to doubt this. Nevertheless, Martin, at the time of the Miami Dolphins, deemed the hazing via Incognito and others to be unmanageable and left the team. If this was just ‘hazing’ not of any specific reasons– rumours did fly questioning the possibility of Martin being gay– then how will someone actually gay be treated? By being “out of the closet” is to be different from teammates. Why wouldn’t Sam face the same pressures that Martin did for that reason? It’s hard to say he won’t, but maybe Sam being openly gay will make that type of hazing out of bounds? There are places that people will shy away from when hazing, but not all. For the point of hazing is to harass to get a reaction from the hazed-person to fight back and show they won’t take any s___. So, if the heckler is ruthless– as it sounds Incognito was– they will strike wherever appears to work– whether that be in the form of offending or getting a reaction the hazer desires. In this case, Sam’s hazers look to have an endless supply of ammo. The NFL is the big dog, and while Sam could set new parameters across sports, he also very easily may not. While now most view this as a major step forward for progressive-behaviour in the NFL; I’m suggesting the possibility that it may be just the opposite. For the people applauding, remember, he is not on a roster yet. To those who think the hard part’s over for Sam now with the announcement, I wish you to proceed with caution and perhaps adjust your anticipation accordingly. Sam is being applauded now, but so was Jason Collins when he came out. Where is Collins now? 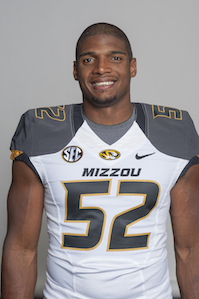 He is somewhere that Michael Sam hopes not to be… floating in obscurity as a “free agent”. Sam is about to test the waters of the NFL– sports’ shining armour, the big dog of masculinity. He may need your wishes for good luck. In North America’s major sports, being free may have costly repercussions. I read this article with a little apprehension based on subject matter purely. But, I think you nailed it. It is 2014, and some people would hope that topics like sexual orientation would have no bearing in professional sports; that men could respect another man’s talent regardless of whether he is straight or gay. However, like you mentioned there is a social aspect to all sports teams. There is hazing. And people will “go there”. I hope for Sam’s sake his coming out publicly hasn’t dashed any hope he had of a successful career in the NFL. I defer a little bit it’s kind of like the 1st back president. The country “wasn’t ready” until they were meaning that when he got voted in the “are we ready” debate was over. When a player felt comfortable enough to openly come out its because the times say we are ready. The hazing factors and all other nonsense will not be harsh in fact a see a case where they are completely avoided because nobody wants to be the guy that hazes the 1st gay player in the league or openly gay the media would tear that person apart far worse than the likes of Incognito. Now while not every person will embrace the idea as in the case for 42 everybody will sit down and eat their popcorn and watched our favorite sports because in today’s world of politically correctness the oppressor will not be given a voice. That in now more so than ever winning cures all.